Recently, I happened to see, once again, the mesmerizing sight of a single luminous sphere shining brightly in the night sky, and the waves swish, swashing against the shore, battling for more room. 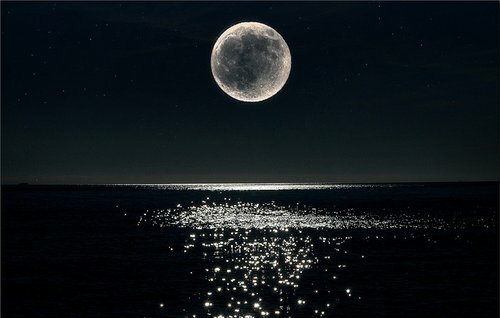 For so long I’ve wondered how it works, how the tide is always high when the moon is out, glistening. After some research, I realized it’s all really about the moon’s gravitational pull on the water of the oceans. Boatsafe.com states that “the gravitational pull of the moon tugs on the surface of the ocean until its surface mounds up & outward in the direction of the moon. On the side of the earth opposite to the moon, the centrifugal force caused by the earth’s rotation produces another mound of water, and a high tide on the opposite side of the earth.” This magnetic kind of pull is present on other earthly objects as well, but affects only water because it’s always moving. The two forces, centrifugal (outward) and gravity (inward), act in opposing directions, keeping the ocean water at equal levels around the world. In different countries, tides may differ to be more dramatic because, as per techtimes.com, “the earth isn’t a perfect round, and so distribution of continents aren’t even”. High and low tides are one thing, but another concept is spring and neap tides. Spring tides happen when there’s a full moon, so the sun and moon are lined up. The force of attraction, or gravitational pull, is the strongest then. The effect, is amplified. Neap tides, on the other hand, occur when the sun and moon are at 90°, what we know more commonly as the half/new moon. Because of the distance between the sun and the moon, the sun can somewhat negate or neutralize the moon’s effect on the tide, causing ‘lower’ high tides.